ezsurf(f) plots a two-variable symbolic expression or function f(x,y) over the range -2*pi < x < 2*pi, -2*pi < y < 2*pi. 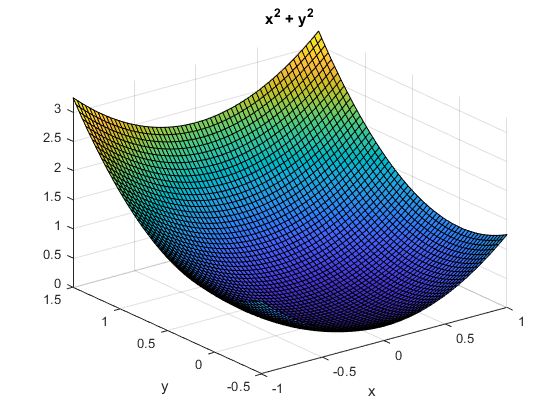 ezsurf(f,[xmin,xmax]) plots f(x,y) over the specified range xmin < x < xmax. This is the range along the abscissa (horizontal axis). ezsurf(f,[xmin,xmax,ymin,ymax]) plots f(x,y) over the specified ranges along the abscissa, xmin < x < xmax, and the ordinate, ymin < y < ymax. When determining the range values, ezsurf sorts variables alphabetically. 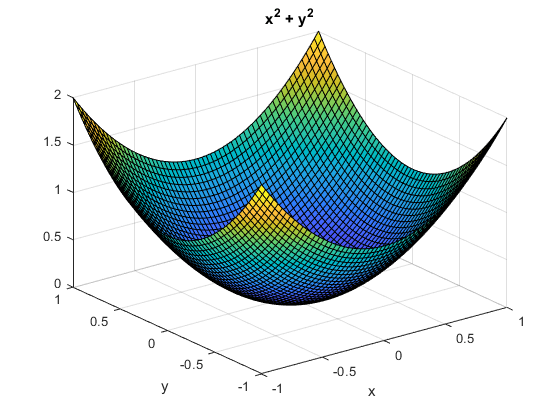 For example, ezsurf(x^2 - a^3, [0,1,3,6]) plots x^2 - a^3 over 0 < a < 1, 3 < x < 6.
ezsurf(x,y,z) plots the parametric surface x = x(s,t), y = y(s,t), z = z(s,t) over the range -2*pi < s < 2*pi, -2*pi < t < 2*pi. 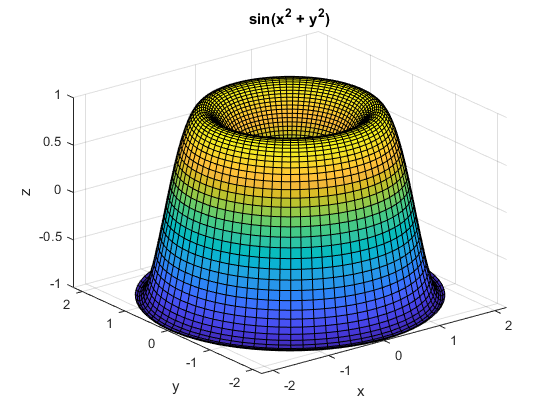 ezsurf(x,y,z,[smin,smax]) plots the parametric surface x = x(s,t), y = y(s,t), z = z(s,t) over the specified range smin < s < smax. ezsurf(x,y,z,[smin,smax,tmin,tmax]) plots the parametric surface x = x(s,t), y = y(s,t), z = z(s,t) over the specified ranges smin < s < smax and tmin < t < tmax. ezsurf(___,n) specifies the grid. You can specify n after the input arguments in any of the previous syntaxes. By default, n = 60.
ezsurf(___,'circ') creates the surface plot over a disk centered on the range. You can specify'circ' after the input arguments in any of the previous syntaxes. 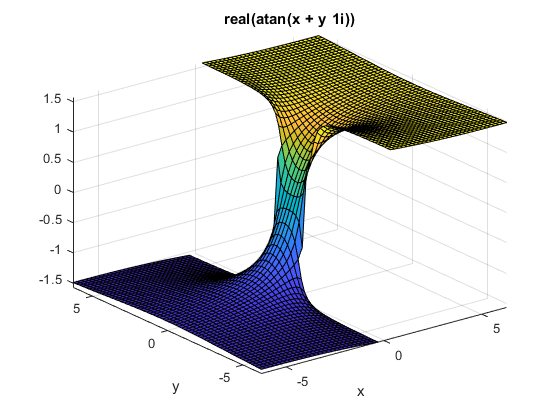 h = ezsurf(___) returns a handle h to the surface plot object. You can use the output argument h with any of the previous syntaxes. Plot the symbolic function f(x,y) = real(atan(x + i*y)) over the default range -2*pi < x < 2*pi, -2*pi < y < 2*pi. Plot this function using ezsurf. Plot the symbolic expression x^2 + y^2 over the range -1 < x < 1. Because you do not specify the range for the y-axis, ezsurf chooses it automatically. Specify the range for both axes. Define the parametric surface x(s,t), y(s,t), z(s,t) as follows. 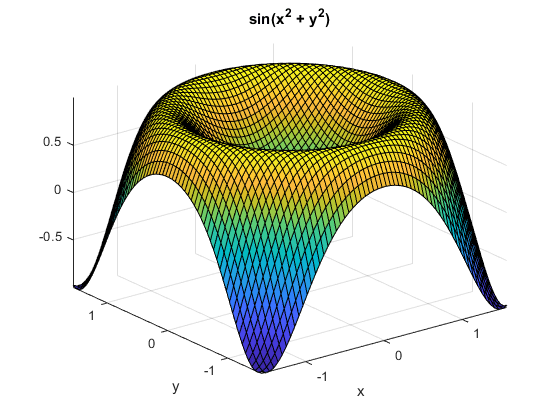 Plot the function using ezsurf. To create a smoother plot, increase the number of mesh points. First, plot the expression sin(x^2 + y^2) over the square range -pi/2 < x < pi/2, -pi/2 < y < pi/2. Now, plot the same expression over the disk range. Plot the symbolic expression sin(x)cos(x), and assign the result to the handle h.
You can use this handle to change properties of the plot. For example, change the color of the area outline. Function to plot, specified as a symbolic expression or function of two variables. 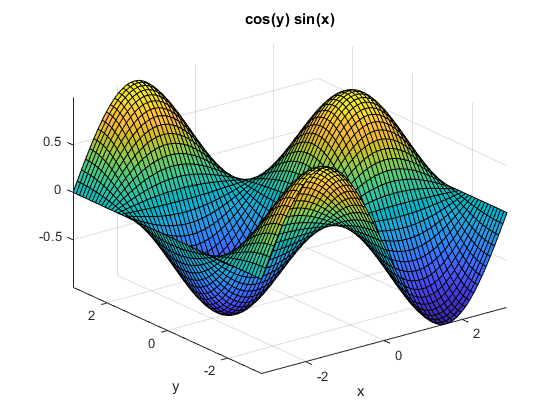 Parametric function to plot, specified as three symbolic expressions or functions of two variables. Grid value, specified as an integer. The default grid value is 60. 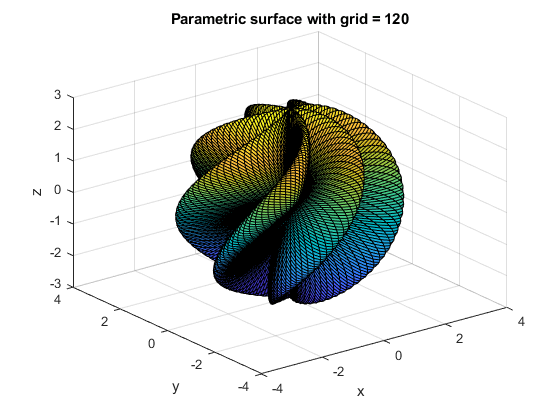 Surface plot handle, returned as a scalar. It is a unique identifier, which you can use to query and modify properties of the surface plot. 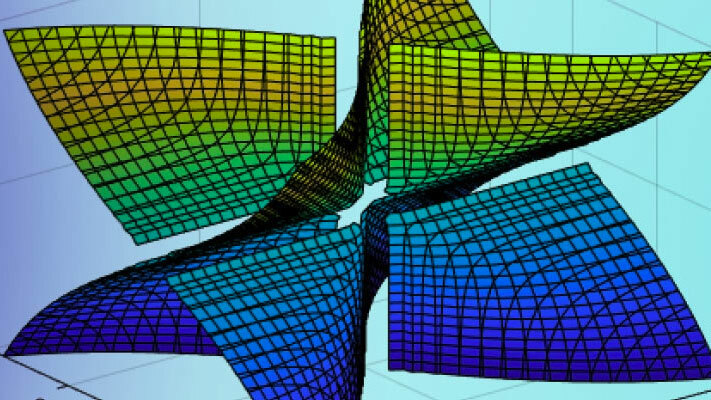 ezsurf chooses the computational grid according to the amount of variation that occurs. If f is singular for some points on the grid, then ezsurf omits these points. The value at these points is set to NaN.